Swipe to see more. In Google Maps a wealth of information is often just a swipe away. Whether you’re looking at search results or directions, you can swipe the bottom info sheet left and right to see other options. To get more details on any of the results, swipe that info sheet upward (or just tap it—that works too). Even with the info sheet expanded, you can swipe to see those other results. Street View. 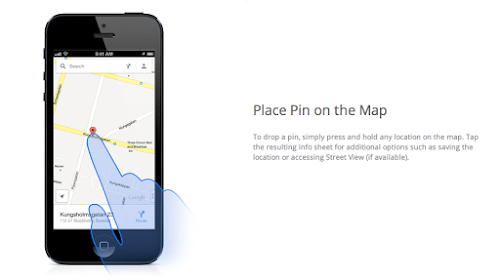 By far the easiest way to get to Street View is placing a pin. Tap the imagery preview on the info sheet to enter into Street View, then explore! I recommend the look-around feature (bottom left button) which changes what you’re looking at as you tilt and move your phone.